Evil has returned with renewed vigor! The Lord of the Underdogs waited for too long. Now all good will come to an end, because on his side Talia is a priestess of dark elves, who will lead the Lord's army and arrange an apocalypse in the upper world. Hey, heroes of the top! You do not even suspect that you are already dead. But you will soon find out. 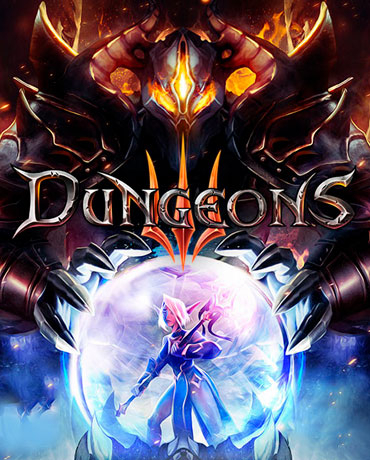 In the strategy genre, the Dungeons series stands apart due to its unique setting and signature humor. In Dungeons 3, the developers unscrewed all the indicators to the maximum, and also made a number of changes to the gameplay. The mechanics of Dungeons 3 are similar to the typical representative of the genre - you need to build, strengthen the base, discover new abilities, upgrade the hero and fight against opponents. In fact, we face a strategy where the player will have to build his evil empire. Graphic execution of the game on top. The game has become easier than the previous parts, which raises the entry threshold for new players. In Dungeons 3, there was an extended single-player campaign for twenty missions with the possibility of cooperative transmission. One of the innovations is the arbitrary generation of levels, which increases the replayability of the project. But the main thing is the corporate humor, which has become even more hilarious. The game is able to pump the press for the summer. Dungeons 3 continues the Lord of Dungeon series worthily. The game adds a new charismatic hero and fresh gameplay mechanics, filling the dish with high-quality black humor. Welcome to the evil empire!